My piano received a very special invitation to stay with a friend for that year while I was away, and it got to participate in a wonderful music program for kids. That friend was a lady named Frances Balodis, who is the founder of Music for Young Children. Hi, everybody! I’m the starry one’s piano, and I have an amazing experience to tell you about. For a whole year, I helped kids learn how to make music, and that’s a very exciting thing to do. Here at the Starborn Revue, we’re all about learning to express ourselves through theatre and music, and to shine like the stars we all are. Music for Young Children, the program I got to be involved in that year, does a lot of shining, too. MYC, which is what most people call it for short, is for kids of all ages, starting at two years old. And when I said they shine, I mean they SHINE. The different levels of the program all have shining names – Sunrise, Sunshine, Sunbeams and Moonbeams. Isn’t that cool? Sunrise is for the littlest ones, and they can progress all the way to Moonbeams Level III. 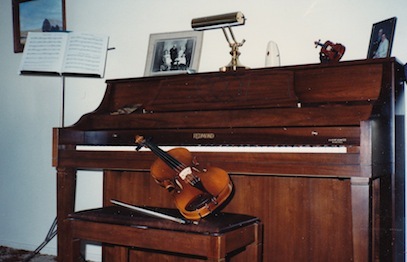 When I was a part of the program, I lived in a room in Mrs. Balodis’ house with a couple of other pianos, and other musical instruments. MYC lets everybody make music together, in a group. It is FUN. Kids in MYC learn rhythm. Can you dance? When you hear music, do you tap your feet or nod your head to the beat? You’ve got rhythm inside you, just waiting to come out. MYC kids learn about all kinds of different styles of music, about composers, about how things sounded back then. And not only do they learn about composers, they get to BE composers. Everybody in MYC gets to compose their own songs. How awesome is that? I got to help kids become composers. That kind of makes me feel like a star, for helping them to shine. Different kids learn in different ways, and in MYC, that’s totally okay. The teachers know how to help kids learn in their own particular way. These music lessons aren’t like just one kid sitting in a room with a teacher. Like I said before, there are lots of us pianos and keyboards and other instruments around, and there are lots of people, too. There are all the kids in the group, and also their parents. Parents and kids learn together, and then they can encourage each other and have fun together when they practice at home. For people who wonder why a person should get involved in music, when there are so many other things to get involved in, there are studies that show that kids who learn music are able to learn other things more readily. It helps the brain develop. It makes kids more confident. 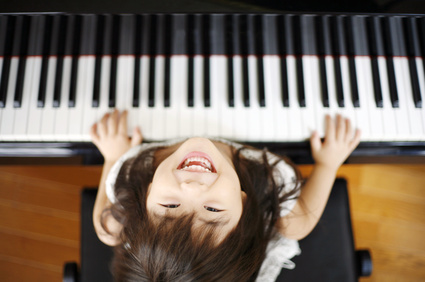 The people at MYC have put together a whole list of ways music helps kids learn, and you can read the list at their website. There are also some great videos – be sure to watch them. MYC started small, like kids do, in Nova Scotia, Canada. First it moved across Canada, then into the United States, and now there are Music for Young Children teachers and kids in three continents! On the website, you can search for a teacher near you. Check out their website! Make some music! SHINE! What a wonderfully unique program — 24,000 students, 900 teachers and on three continents. They have really found some magic in the teaching methods. And, I love that their children are carrying on the program they started 32 years ago. I really enjoyed reading this from your piano’s POV. I have a Baldwin that looks very much like your piano. Same color too. It was my first big purchase as a young adult in 1978. Thanks so much, Pat. It is, indeed, a wonderful program. I love the fact that for both of us, our first major purchase was a piano. I bought mine in May of 1984. Very interesting post. Loved the pov. Your piano looks a lot like my mums one that I used to play on. It is wonderful to read this! How exciting! I remember so well when your piano visited my Music for Young Children studio! Good memories. Thanks for your happy, positive, supportive words.